For purposes of this Agreement, “Service” refers to the Company’s service which can be accessed via our website at www.4StarProperties.com or through our mobile application. The terms “we,” “us,” and “our” refer to the Company. “You” refers to you, as a user of Service. Personally Identifiable Information means information that tells us something specific about an individual, such as their name, email address or phone number. We need this type of information to provide the personalized services that you have requested, specifically, we need this type of information so we may contact you. 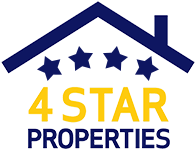 We hope that, like many of our customers, you will find it beneficial to provide Personally Identifiable Information to 4StarProperties.com so that we may provide our valuable services to you.